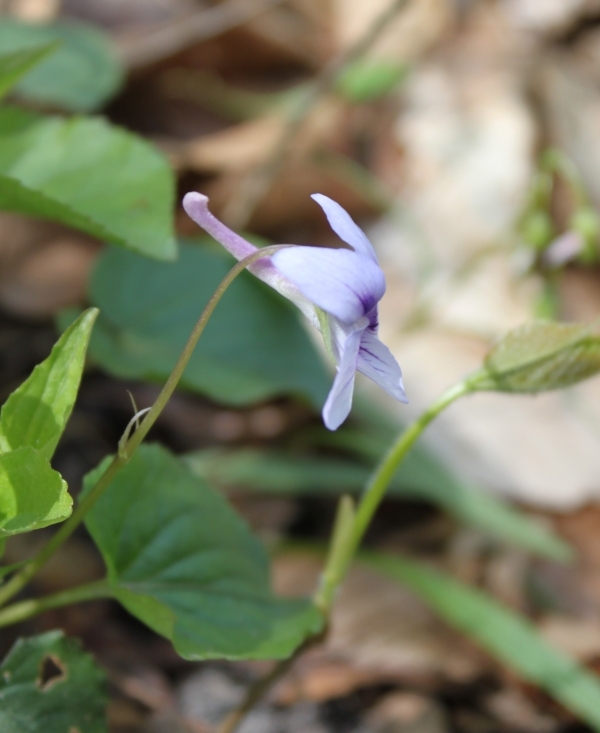 A stemmed Violet. i.e. Leaves and flower on same stem. Leaf axils with toothed stipules. Long spur of lower petal approximately 1/2 inch long. All petals beardless.